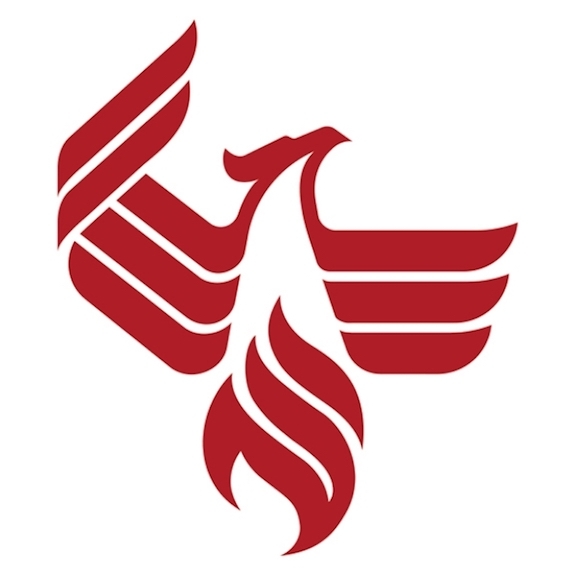 University of Phoenix (UOPX) is one of the most frequently searched universities in America, according to a recent internet keyword search of American colleges. UOPX is a private, for profit college, based in Phoenix, Arizona. The college features 91 physical campuses across the United States, and is also well known for its online programs. UOPX was established in 1976, and currently maintains an enrollment of well over 140,000 undergraduate and postgraduate students, most of them making use of the school's online programs. UOPX has an open enrollment policy. In 2017, UOPX was acquired by a private equity firm called Apollo Global Management. UOPX is regionally accredited by the Higher Learning Commission. Here are the answers to some of the most frequently asked questions about UOPX. 1. Where is University of Phoenix? 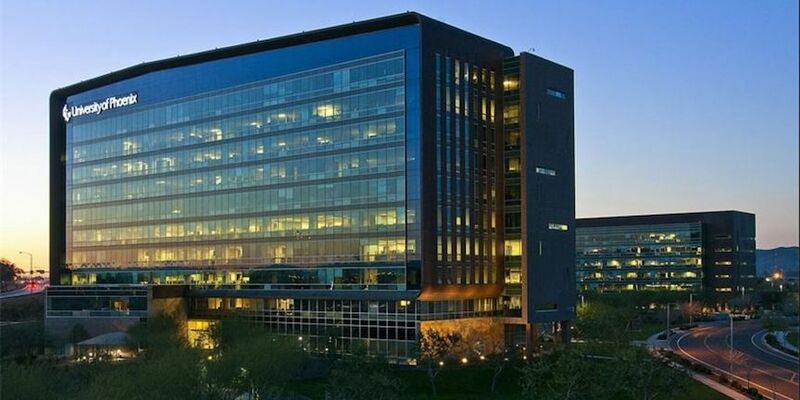 As the name suggests, UOPX was originally headquartered in Phoenix, Arizona, but is now located in Tempe, about 10 miles southeast of the heart of Phoenix. UOPX also has many dozen physical campuses all over America. Shown above: The UOPX Headquarters in Phoenix, Arizona. 2. What types of degrees are offered at University of Phoenix? UOPX offers Associate degrees, Bachelors degrees, Masters degrees, Doctoral degrees, certificates, and even individual courses in many hundred areas of study. The school also offers continuing education and professional development courses. 3. What programs are offered at University of Phoenix? Above: The main campus of UOPX, located in Tempe, Arizona, near Phoenix. 4. What Doctoral degrees are offered at the University of Phoenix? 5. Why should I attend University of Phoenix? UOPX is a convenient alternative to a campus education. Degrees from UOPX can be earned fully online, from anywhere in the world. UOPX is a regionally accredited university. UOPX has many degree and certificate programs to choose from. 6. 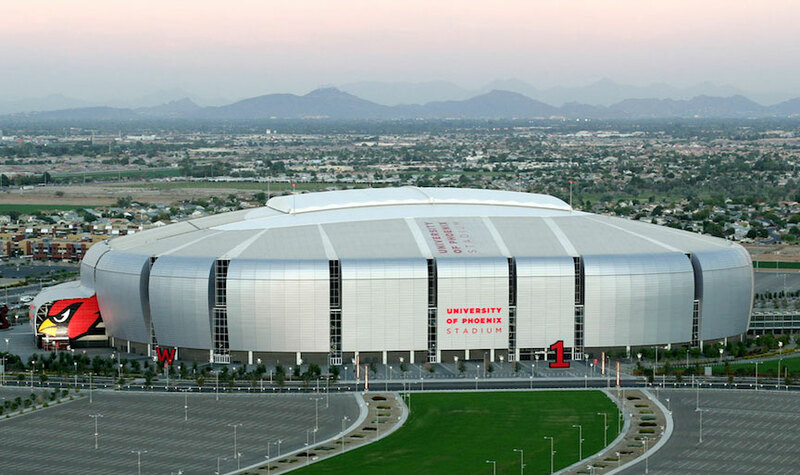 How much does it cost to attend University of Phoenix? Undergraduate courses (Bachelors and Associate degrees) cost $398 per credit. With some exceptions, Masters degree programs cost $698 per credit. Doctoral programs cost $810 per credit. Additional fees may also apply, such as application fees, registration fees, and insurance fees, among others. Students enrolled at UOPX often receive financial aid, as long as they successfully complete the FAFSA form. UOPX has many forms of financial aid available. 7. What are the University of Phoenix campuses like? The Tucson, Arizona campus of UOPX is located right in the heart of Tucson. Nearby attractions include the University of Arizona, the Pima Air & Space Museum, and the Reid Park Zoo. The Albuquerque, New Mexico campus is conveniently situated immediately west of the Pan American Freeway, less than 10 miles north of downtown Albuquerque, affording easy access to everything by car or bus. The Oakland, California campus of UOPX is ideally situated right in the heart of downtown Oakland, close to all conveniences, restaurants, entertainment venues, transportation options, and (especially!) the city of San Francisco. The San Jose, California campus is located less than 2 miles from the beach, and only about a 1-hour bus ride to the heart of downtown San Jose. 8. What is the contact information for University of Phoenix? You can reach the main office of the University Of Phoenix by calling 844-YES-UOPX.